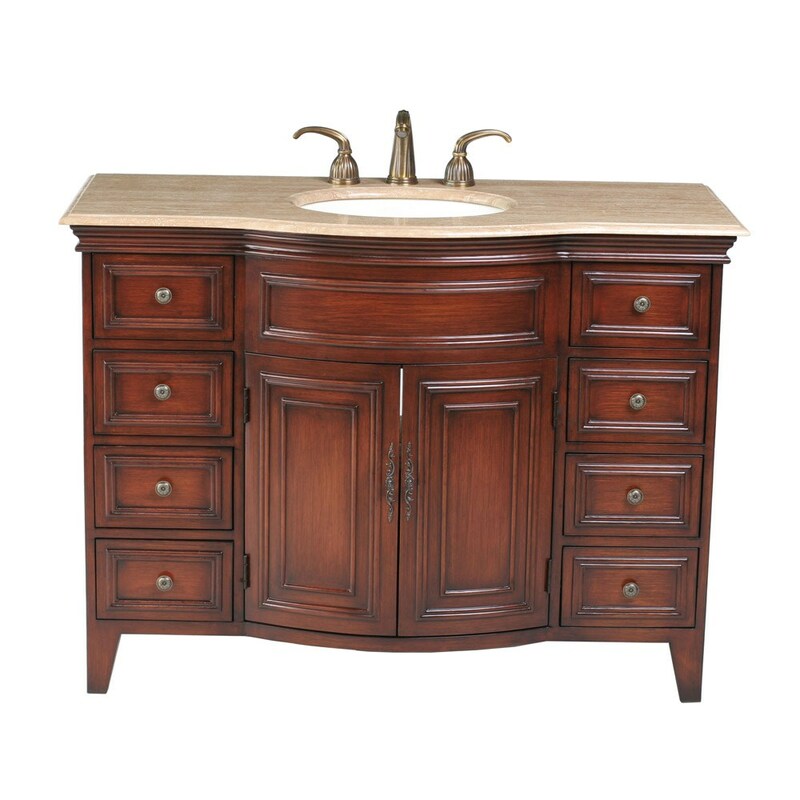 Satisfy your taste for refined elegance with the addition of the 48 inch Yorktown Single Sink Vanity, featuring traditionally paneled styling and a deep cherry finish. As appropriate in a classic decor as it is in a modern one, this piece will captivate the attention of everyone who sees it. 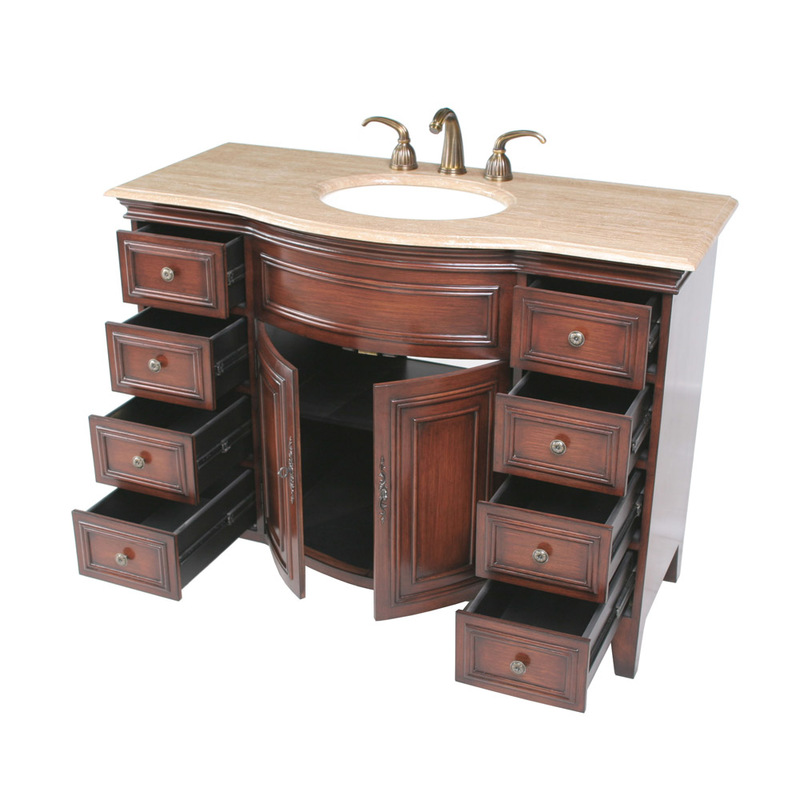 Eight large drawers flank the outside of the cabinet, while two doors hide storage space behind a curvaceous bowed front. 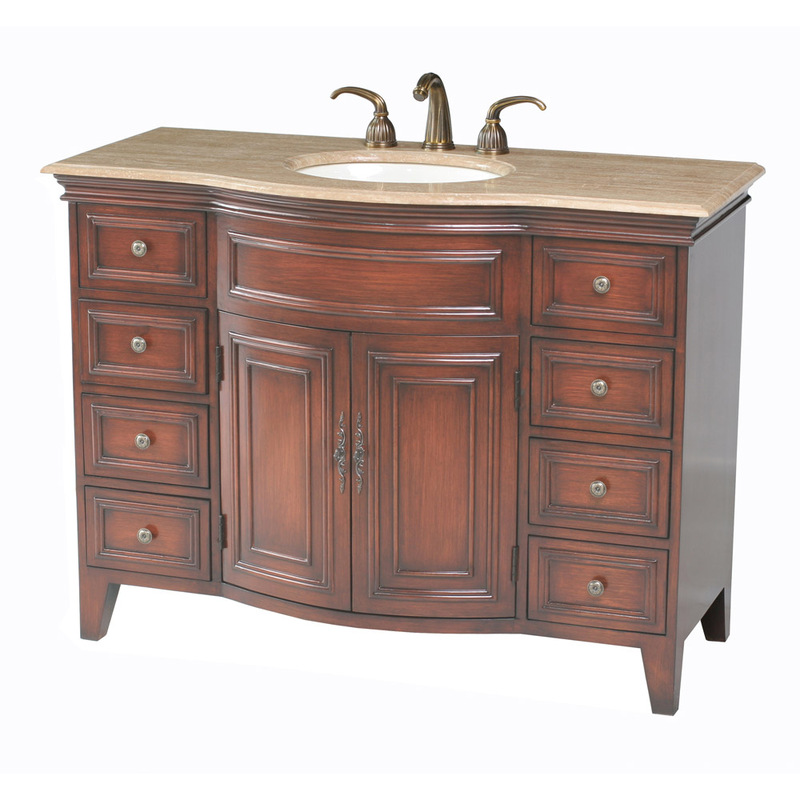 A Travertine Marble Top and classic hardware tie the piece into one cohesive unit.